Glow in the dark watches first started showing up in the early 1900’s. At first, many people were entranced by this green glow and couldn’t get enough of it. But soon they learned it was something to avoid. 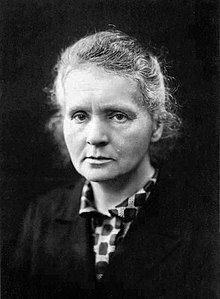 Marie Curie and her husband, Pierre, first discovered two different elements in their lifetime, radium and polonium. They first discovered that polonium was more than 300 times more radioactive that uranium. After they discovered polonium, they discovered radium. She and her husband discovered that radium was more than 2-million times more radioactive than uranium. Because of her discovery of radium, she and her husband were given the Nobel Prize in the physics category. By the time 1910 rolled around, radium was being manufactured synthetically for products. Radium was so popular at this time that it was put into everything from chocolate, to watches. The only problem with this, was that radium was a very radioactive material, and the radioactivity would not reduce for thousands of years. Radium paint actually glows by itself, meaning that it doesn’t need an outside source energy for it to glow. Radium emits alpha particles and gamma particles. This means that radium paint used for painting watches and clocks were chemically unstable and a big health hazard. It was known from the beginning of the century that radioactivity posed dangerous risks. The U.S. Radium Corporation was the factory to paint watch and clocks with their patented Undark luminous paint, made with radium and zinc sulfide. The U.S. Radium Corporation employed around 70 women to paint watch dials with their Undark paint. These women were taught to lick their paint brush tips to keep them at a fine point. At first the questioned whether it was safe or not, their managers told them it was safe to do this. These women did not know that radium was highly radioactive. Radiation poisoning doesn’t happen right away, sometimes it takes years for symptoms to start showing up. For these workers it did take years for the symptoms to show up. First they started to suffer from anemia, bone fractures, and necrosis of the jaw. Many of these problems soon led to death, the first death occurred in 1922 Because of these problems with radium watches, many people were soon looking for another alternative. One of the first alternatives for radium was another radioactive material called Promethium. Promethium releases only beta particles, and they release them with much less energy than radium. By doing this, promethium is considered safer. One of the downsides to promethium is that it has a half life of only a couple years. So after only 2 or 3 years of wear, it barely glows at all. Tritium was another alternative for watch glow. Tritium glow involves small glass tubes that are filled with tritium gas. Tritium is also a radioactive material, but unlike radium, it can’t harm you. The way tritium gets its glow is by the decay of beta particles. These beta particles are too weak to harm anyone and can’t get past the outer layer of our skin. Because of how weak these particles are, it makes the glow of the tubes relatively dim compared some of the other ways to illuminate watches. One of the most used alternatives for watch glow is Super-LumiNova. Super-LumiNova is a non-radioactive, non-toxic formula that creates a phosphorescent glow after being subjected to light. When light hits this material the electrons inside get energized and begin to move rapidly, creating that phosphorescent glow. The longer the material is left out of the light, the slower the electrons move, the slower they move, the dimmer it glows. One company, called Reactor Watches, decided to make the best of both worlds. They created watches with, what they call, Never Dark technology. This Never Dark that they use, includes Super-LumiNova and tritium tubes. This means when you take your watch somewhere dark, the glow of your watch will start out bright with the Super-LumiNova glow,as your eyes start to adjust to the darker surrounding, the tritium tubes replace the glow of the dimming Super-LumiNova so your watch is still readable. Timex decided to make their own solution that didn’t involve harmful or slightly radioactive material at all. The glow they came up with is called Indiglo. This technology is solely owned by Timex and is in roughly 70 percent of their watches. The glow of Indiglo is called electroluminescence. Electroluminescence is the act of turning electricity into light. Indiglo watches have two conductors and phosphor in between, when enough electricity is applied, the phosphor begins to emit photons, creating the glow that is so well known today. Today the kings of luminescence are Timex’s Indiglo, Super-LumiNova, and Tritium tubes. All three of these alternatives can be found in an abundance of watch brands throughout the globe.